A heating repair can save you from plenty of stress and higher spending this season. With the weather get cooler seemingly by the day, you should not pass up the chance to call for high-quality heating service, it can mean all the difference in how you enjoy the season. 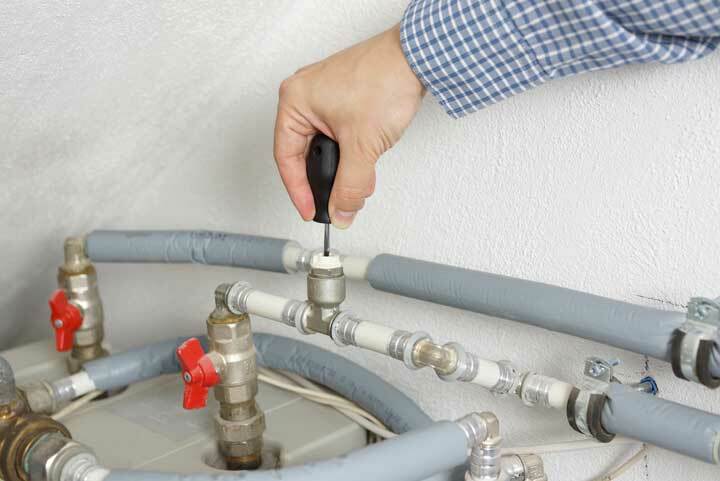 Even it’s just a matter of making a few small repairs, it can ensure your heating system is ready to go for any frigid weather ahead. Unfortunately, as urgent as a heating repair may be, some homeowners simply do not know enough about their own furnace to assess what exactly is going wrong with the system. For example, if the furnace begins grumbling and groaning, there is a good chance the average homeowner will have no idea what part within the furnace is causing the problem. This leaves any issues within the furnace to go unfixed and worsen to the point where you will need to seek a furnace replacement. When you consider the average cost of a heating system is closer to $4,000, it may put a significant dent in your savings. Worse, you also risk keeping with a furnace that is unsafe and opens up your home to various safety hazards, like heating fires and exposure to harmful gasses. With risks like this, you cannot possibly expect to live in your home comfortably. Why Should You Call Outstanding for Service? If you want high-quality heating service that will both fix your furnace and teach more on its inner workings, you should call Outstanding today. We have a team of highly dedicated heating contractors available to provide at any point this season. Our goal is to provide all homeowners across the area with comforting, reliable heating, and we’ll go to any length to ensure it. Though it may seem difficult to keep up on the ins and outs of your furnace, our contractors have enough experience in the field to provide you with insight into what makes your heating system work. Once we provide service, you will walk away with more knowledge than ever before so you can have a better sense of what is going wrong with your furnace. You will also have more knowledge on how to keep your home safe, especially when the well-being of your family is at risk. Overall, a call to Outstanding isn’t just a way to improve home heating—it’s one of the most effective ways to guarantee a stress-free life in your home. Thermostats: Your furnace’s thermostat will be able to determine if the temperature in your home is too low. When the temperature is lower than the one you have set, the thermostat sends an electrical signal to the furnace’s burner to turn on. The major benefit of a thermostat is that it helps provide greater climate control in your home, so you avoid providing more heat to your home than necessary. Pilot Light: Your furnace’s pilot light will operate differently based on fuel type. Gas and electric furnaces, for example, operate the pilot light much differently from each other. A gas furnace’s pilot light is a small blue flame burning a tiny amount of gas. An electric furnace on the other hand will use a pilot light lit by electronic ignition. The pilot of your furnace may become blocked by debris, and will soon take away from your system’s efficiency. You or a professional should clean it out regularly to ensure the light continues to flash on during furnace maintenance. Burner: A gas furnace will ignite the burner with the pilot light while an electric furnace does so with an electric ignition. However, if the burner breaks, the air will not be heated. In some cases, this may result in the air taking a longer time to heat or, worse, not heating at all. Either way, it’s providing an inconsistent amount of heat to your home that will soon become incredibly uncomfortable and should be fixed as soon as possible. Heat Exchanger: The heat exchanger is exactly what you think—it efficiently transfers or exchanges heat from one matter to another. It pulls in air and heats it quickly before it is then pushed into a long tube by the blower motor. Blower Motor: The blower motor of your furnace is responsible for pushing warm air through the ductwork and through the vents. They are typically sized in accordance with the size and layout of the home they need to heat. Some even have the ability to provide heat to a farther distance. If you live in a larger home, you will need a larger motor to heat all the rooms in your household or else your heating efficiency may suffer. Contact Outstanding today if you want to stay warm and comfortable during the colder months thanks to heating repair!